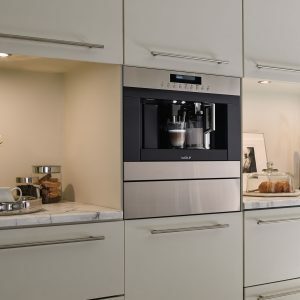 No need to run out to the corner coffee shop – you can enjoy professional-quality brewed coffee, espresso, cappuccino and more, in the comfort of home. The Wolf coffee system lets you craft a cup precisely to your taste, from real coffee beans, with just the touch of a button. 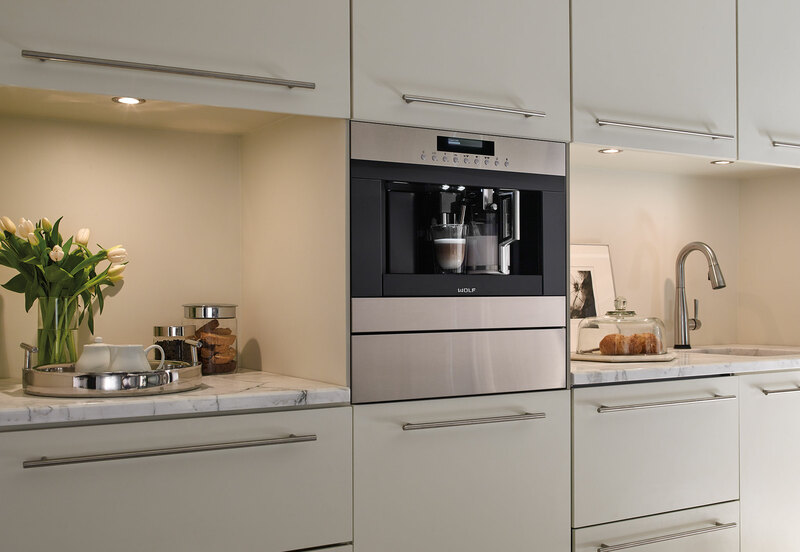 Installs anywhere in your home or office – no plumbing required. 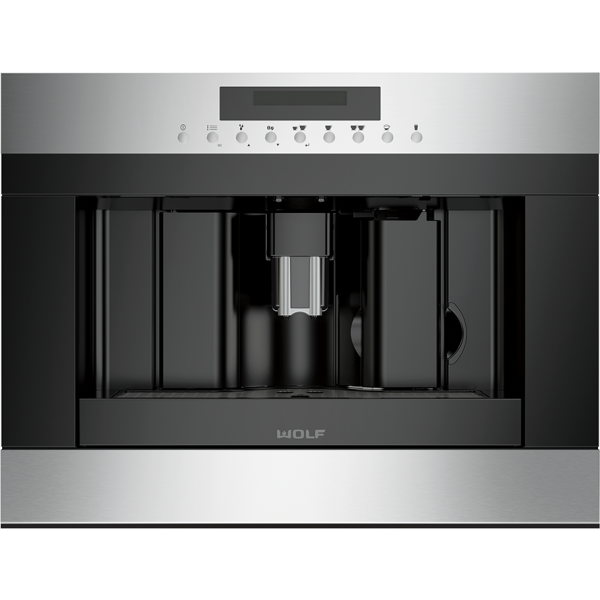 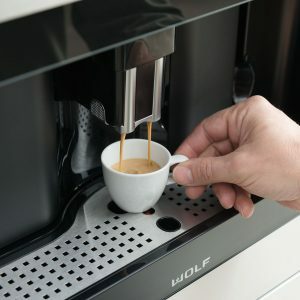 Whether you’re making a simple cup of black coffee or a double no-foam latte, you’ll find the Wolf coffee system is a joy to use and simple to maintain. 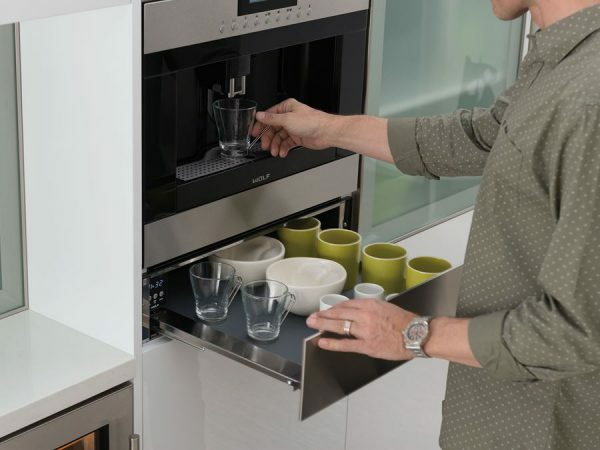 Even the brewhead and milk frother clean up with pushbutton ease. 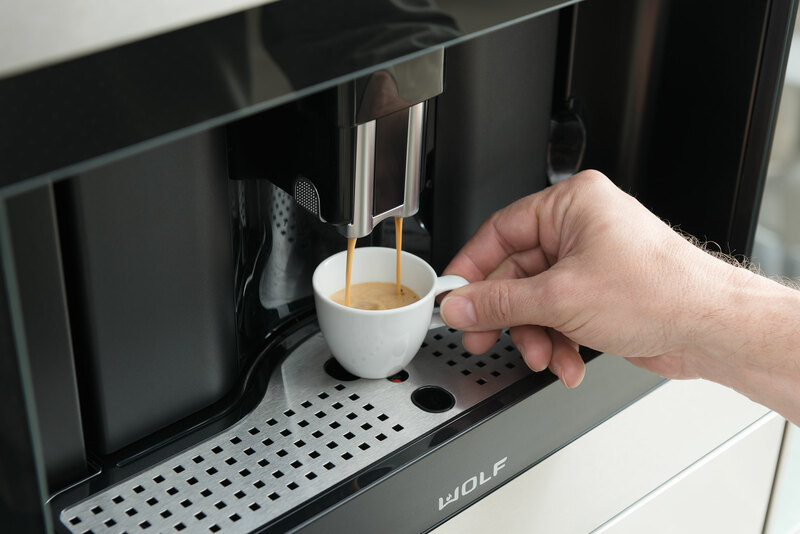 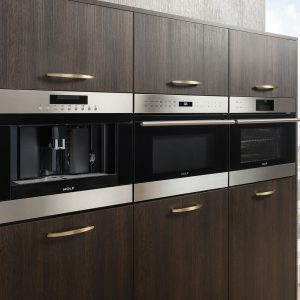 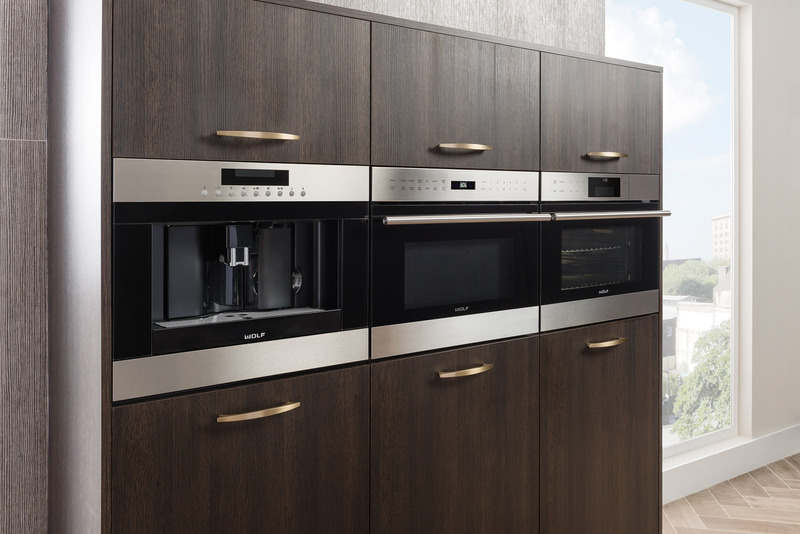 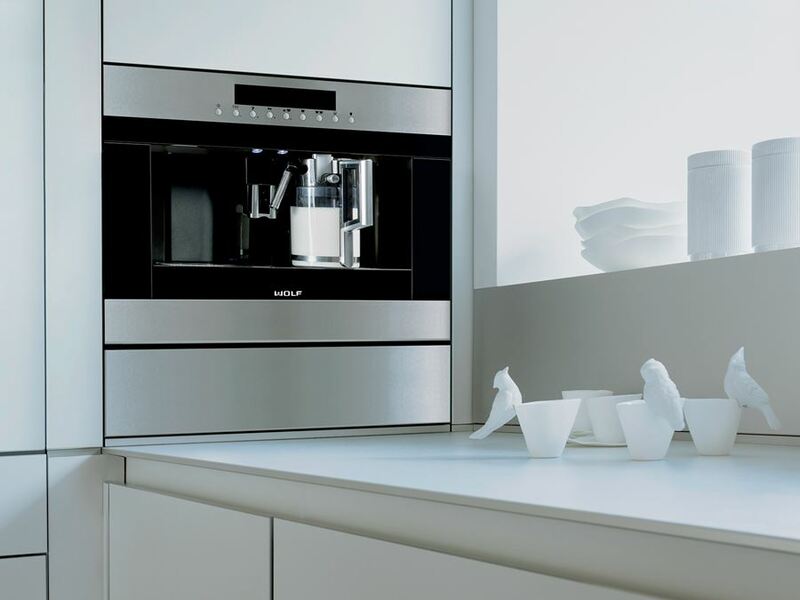 The Wolf coffee system doesn’t just make great coffee; its style and coordinating accessories are pleasing homeowners and designers alike. 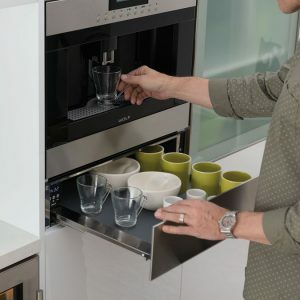 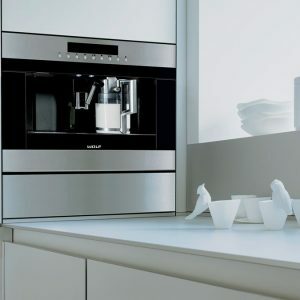 And because it isn’t plumbed, it can easily be built-in to any part of any room.